The Design and Technology Exhibition gives outstanding student designers the opportunity to exhibit their work at the Regional Festival, as well as the chance to attend the KCACTF National Festival or the USITT Conference. Throughout the Festival the designs will be critiqued by theatre professionals on the bases of quality, effectiveness, originality, and rendering techniques. to provide the opportunity for outstanding student designers to exhibit their work at the Kennedy Center and/or USITT. Designs and other allied crafts will be appraised on the basis of quality, effectiveness, originality, and visual presentation techniques. Any student may take part in the KCACTF Awards for Theatrical Design Excellence, KCACTF Allied Design and Technology Award, and/or the KCACTF Stage Management Fellowship Program, so long as their school has entered at least one associate or participating entry during the festival year. All entries must have been realized and produced at their home institution. Participants must attend their regional festival, and display the materials and documentation of their design process and execution. One regional award recipient – a national finalist – in each area (scenery, costumes, lighting, sound, and allied crafts) will be announced at the regional festival. National finalists in scenery, costumes, lighting, and sound will be invited to exhibit their design display, and will attend the national festival in Washington, D.C in April. Each Allied Design and Technology regional award recipient will be invited to exhibit their design display and attend the annual USITT Conference. The Stagecraft Institute of Las Vegas has partnered with KCACTF to award students from each region a one-week master class in the area of their choice. SILV classes may include Computer Drafting, Computer Modeling, Rigging, Automation, Props & SFX, Sound, Makeup & Masks, Wigs, Lighting Technology, Patterning, Projections & Video, and Moving Lights. Each award includes a full-tuition grant, housing, and daily breakfast and lunch. Transportation is not included. At each regional festival, a team of theatre design and technology respondents will select a student exhibiting outstanding achievement in their area of allied theatre technology, crafts, or design as the award recipient. At each national USITT conference, a team of theatre design and technology respondents will select a student exhibiting outstanding achievement in their area of allied theatre technology, crafts or design as the award recipient of an eight-week scholarship with SILV. The Focal Press/Rafael Jaen Showcase Award celebrates the contributions of the theatre practitioners making magic behind the scenes by honing their crafts. It is meant to inspire DTM practitioners and encourage their studies in the Allied Design & Technology fields. The award recipients are chosen from the eight KCACTF Regional Allied Design & Technology finalists presenting at the USITT Conference. They will receive a gift voucher to pick a selection of books at the Focal Press booth while at the USITT Conference. Student designers and technicians will present those materials, which most clearly tell the story of the process and evolution of the design. Supporting materials that have proven most useful include combinations of the following: a design statement in outline form, research images, preliminary sketches, white models, color models, color sketches, drafting including sections, recording of sound cues and manipulations that lead to those compositions, design bibles, story boards, costume plates, fabric and trim swatches, costume plot, cue synopsis, production photographs, tracking sheets, and the like. This is in no way meant to be a definitive list. Choose elements that best articulate and document the conceptual approach and process. The designer is responsible for developing a suitable method of shipping or delivering their design to and from the regional festival, including providing the appropriate mailing and insurance charges. Should they become a national awards finalist, the designer is also responsible for shipping their design to the national festival, including providing the appropriate mailing and insurance charges. The Kennedy Center will cover the costs of shipping the projects home after the national festival. One regional award recipient – a national finalist – in each area (scenery, costumes,lighting, sound, and allied crafts) will be announced at the regional festival. National finalists in scenery, costumes, lighting and sound will be invited to exhibit their design display, and will attend, the national festival in Washington, D.C in April. Each Allied Design and Technology regional award recipient will be invited to exhibit their design display and attend the annual USITT Conference. KCACTF will provide national KCACTF awards finalists with up to five days in residence in Washington DC for master classes, professional development opportunities and response to their award-winning design. Round-trip travel, shared hotel accommodations and per diem for the period of national festival is provided. KCACTF will provide national KCACTF Allied Design and Technology award recipients with travel, conference fees, shared hotel accommodations and per diem for the period of the annual USITT conference. If you are nominated for more than one design in the same category, you will need to choose which design you want to submit for consideration. If you are nominated for designs in different categories, you can present one design in each category for which you are nominated. Please see the national KCACTF web site for more information. 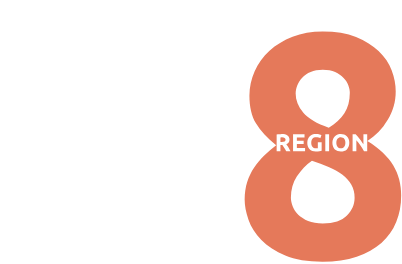 The Festival Registration is for the Festival – you have to pay this fee to participate in all the wonderful opportunities at festival, including the Irene Ryan Acting Scholarship program. Think of it as your one-price-includes-all fee. You must be registered for the Design Finals in order to participate in the Design Finals. Register for the Design & Technology Finals by submitting the form, which can be accessed via the tabs at the top of the page. The Stagecraft Institute of Las Vegas Awards are for students who display potential for success in their chosen area. There are two kinds of SILV awards; the one-week regional scholarship for excellence in any area of design and technology, and the eight-weeks national scholarship for excellence in the field of allied crafts. Regional Design Projects are intended to serve Region 8 student designers with the opportunity to showcase their work for non–realized design projects, and to receive response to their work that will help them improve their design skills and grow as designers. There will be two entry divisions: Undergraduate and Graduate. USITT is a proud supporter of DTM activities at the national USITT Conference.